Barkingham Palace is a luxury dog grooming salon in Wootton, Hampshire. Easily accessible from Highcliffe, Lymington, New Milton, Christchurch and the surrounding areas. The luxury boutique style dog salon is set within tranquil surroundings, overlooking beautiful gardens and rolling hills. The quiet, opulent environment helps all dogs including those with nervous dispositions to relax and enjoy their groom. 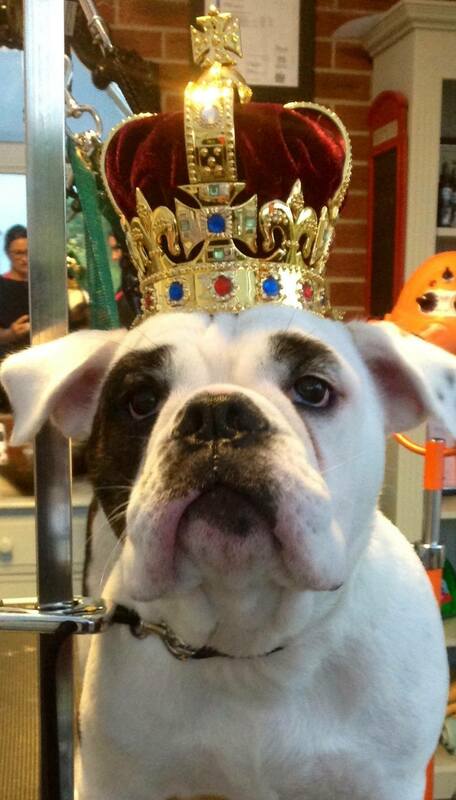 At the end of a hard week your pet deserves a spa day fit for a king! City and Guild’s trained Beverley Fletcher heads the spa team at Barkingham Palace. 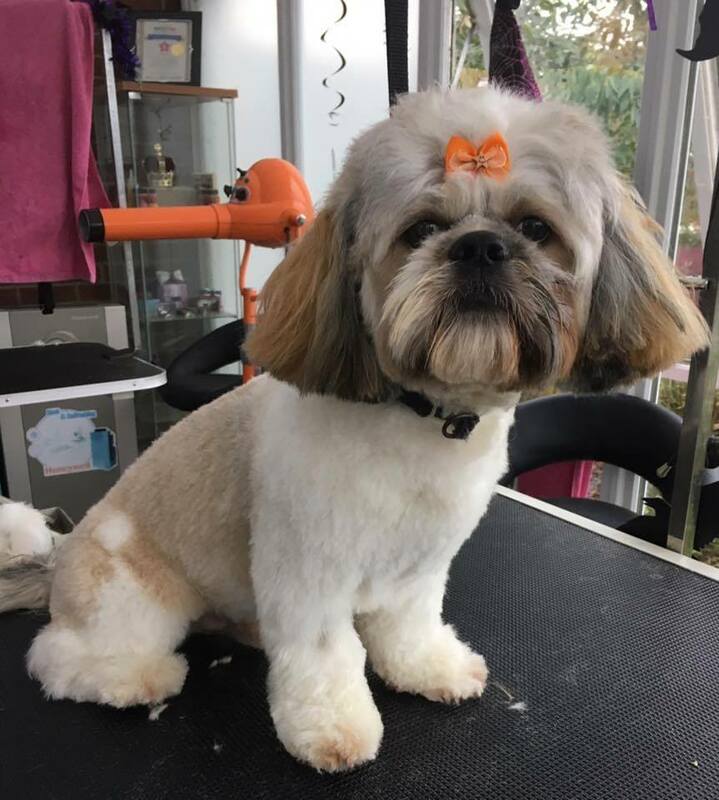 Providing a full range of dog grooming services from bath and brush to a full groom, your dog will be pampered from head to toe. 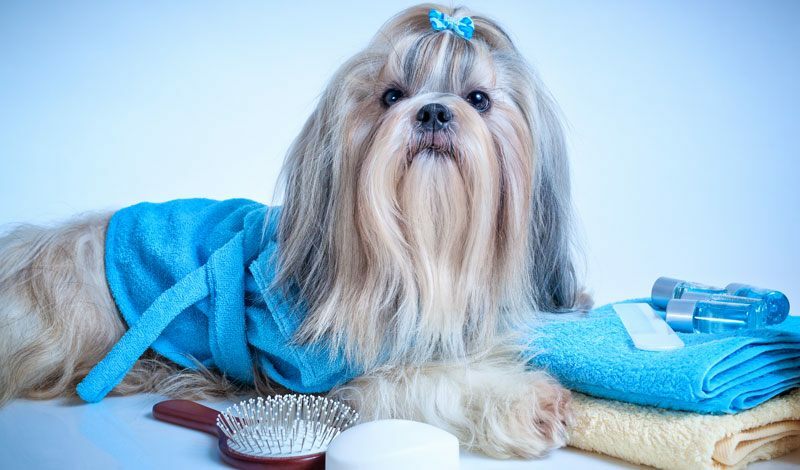 Using luxury, organic products and specialist techniques your pet will leave looking utterly fabulous and totally relaxed . We endeavour to make each stage of the grooming process stress free making it a wonderful experience for your much loved pet. 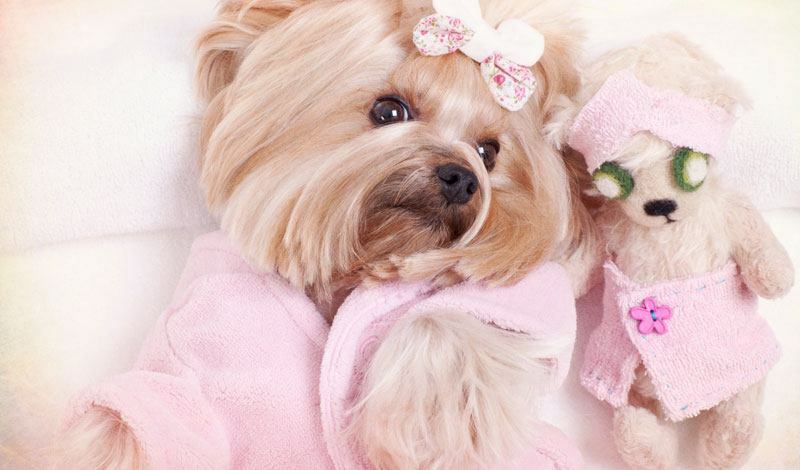 We believe that every dog should look and feel its best! To achieve this, Barkingham Palace only use high quality, natural products that promote healthy skin and coats. Whatever your dog’s needs, we have the very best products available. Packed full of healthy essential oils, the products we use are luxurious and will result in your dog radiating good health and happiness from top to tail. 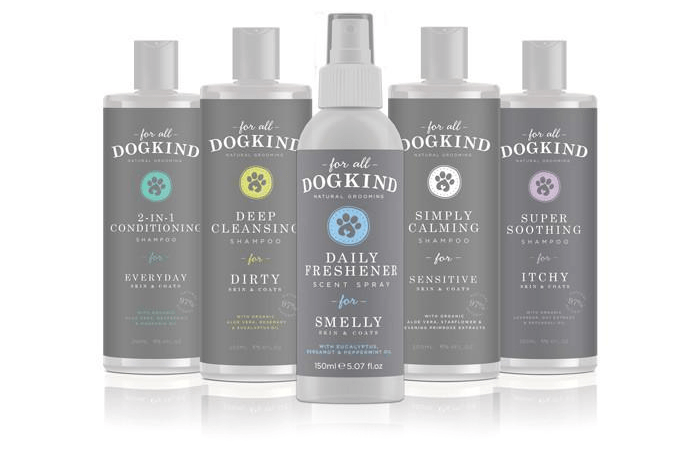 We are closely partnered with For All Dog Kind, stocking a complete range of ethically sourced, organic shampoos and treatments. Along with Nagayu, a unique CO2 bathing system scientifically proven to aid doggy odours and cell regeneration. Using these luxury products rich in essential goodness along with specialised dog grooming processes, your hound will leave feeling rejuvenated, happy and looking fabulous! 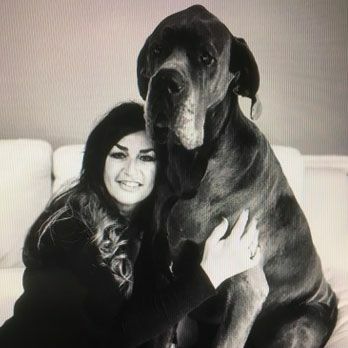 For many years I worked as a nurse caring for people but I always knew my heart belonged to my animals. Then when my children flew the nest I decided it was my time to do something I loved. I had a natural artistic flare and a desire to work with my four legged friends. 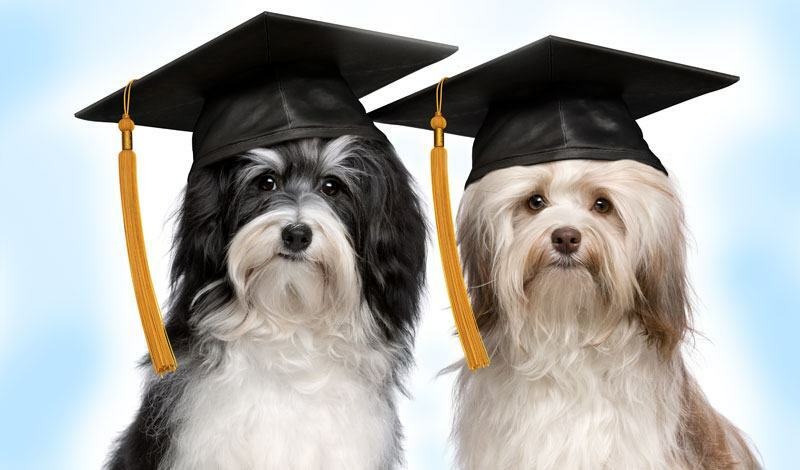 I began my training to become a professional dog groomer and never looked back…. We started Max off as a puppy to make sure he was used to the dog grooming process. After a few sessions he looked forward to going back. He now is a fully fledged member of P.A.W.S and cant wait to go back each time. Barkingham Palace Dog Groomers are all City & Guild qualified ensuring the highest standard of training in the dog grooming profession.